When I remember our trip to Kuala Lumpur, I remember a wonderful aroma of spices married together with a view of modern architecture. The KLIA Ekspres, Beef Rendang, Nasi Lemak, KLCC, late sunsets, and The Petronas Towers were my memories of our 48 hours in Kuala Lumpur. 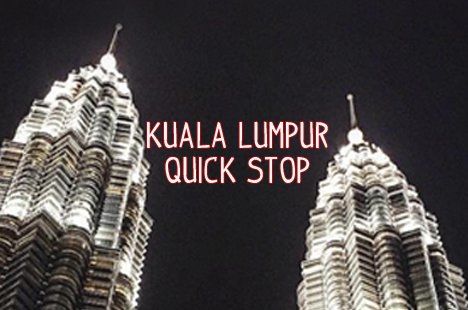 Follow us as we roamed around Kuala Lumpur, Malaysia for a 2-day layover. We had so much fun and we hoped to share the joy and info tidbits we had thru this video. Enjoy!